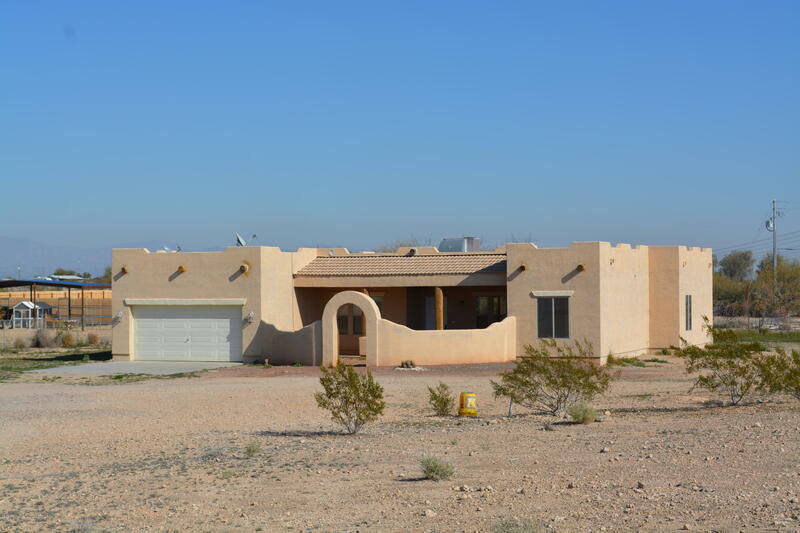 All Tonopah homes currently listed for sale in Tonopah as of 04/22/2019 are shown below. You can change the search criteria at any time by pressing the 'Change Search' button below. "This gorgeous horse property has all the bells & whistles! 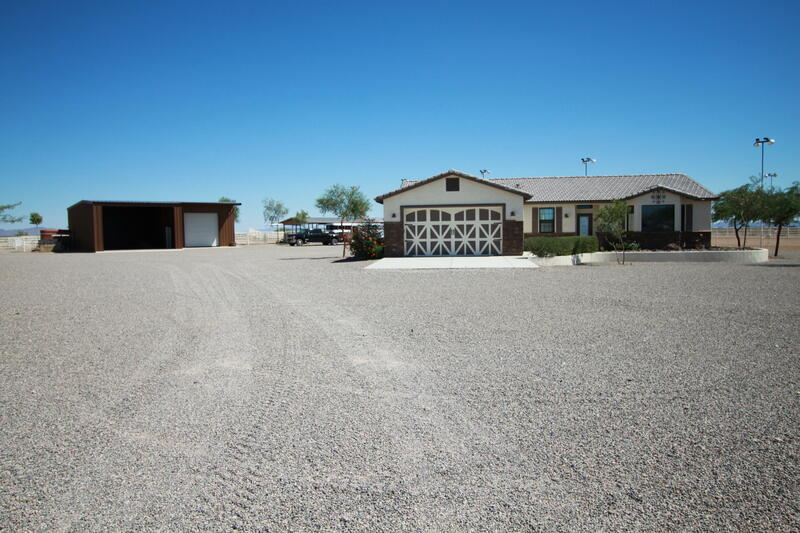 ONLY...30 Minutes from Wickenburg, Dunns & Buckeye Equestrian Center. 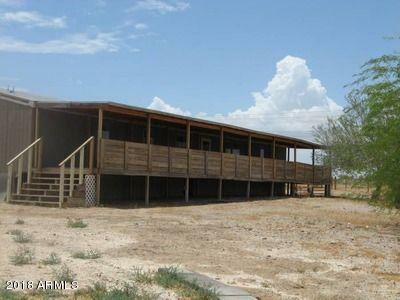 Full size lighted roping arena, 4 stall fully enclosed barn w/runs, wash rack & full-size tack room. 2 stall barn w/runs & full-sized tack room. Automatic waters & electric outlet's throughout the property. Horse & cattle covers in all pens. Full-sized (semi load) hay shed. 2 shops, 1 shop 24 x 24 adjoining RV Storage 24 x 48, 2 RV hookups. 5000 gal above ground wate"
"Your very own Desert Island! 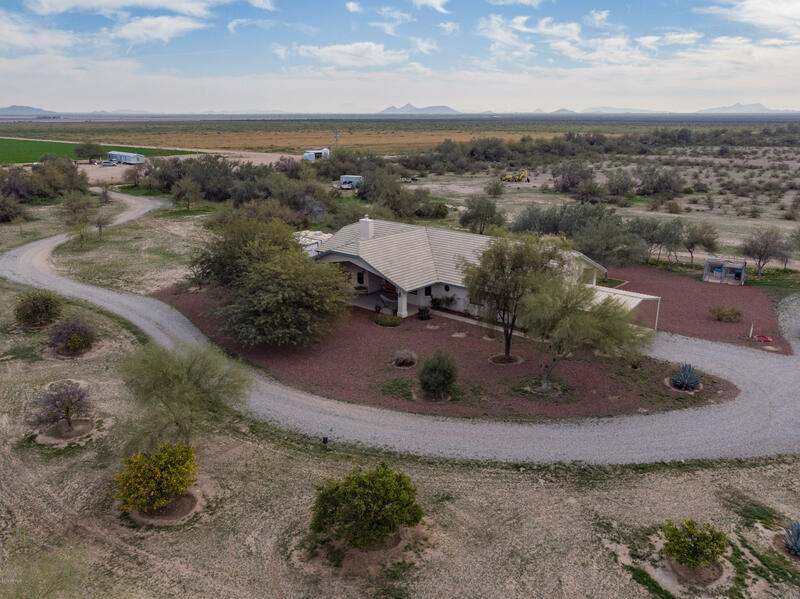 Beautiful, Secluded Custom Home on 40 acres Horse Property; backs to Eagletail Wilderness; Spectacular views and sunsets; Fireplace; Saltillo Tile in front rooms; Tile throughout rest of home; Kitchen Work Island, Breakfast Bar; Custom Knotty Pine Cabinets; Work Shop/Hobby room; 3 porches; FruitTrees; Shade trees; Land can be divided into 10 Acre Parcels." "Look no further. nice country home on 60 Acres. 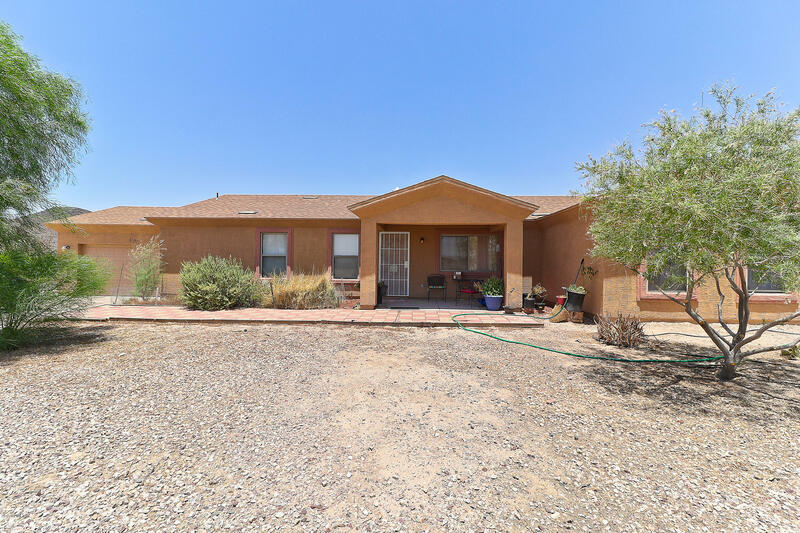 3 bed, 2 bath a little under 2100 sq.ft. Home was completely freshened with newer A/C unit, Newer Roof, and interior repairs done. tile throughout. if you have ATV's this can be a dream property. This property includes parcels 503-13-011K and 503-13-011J these 2 parcels totaling 60 acres is being offered at $499,000. 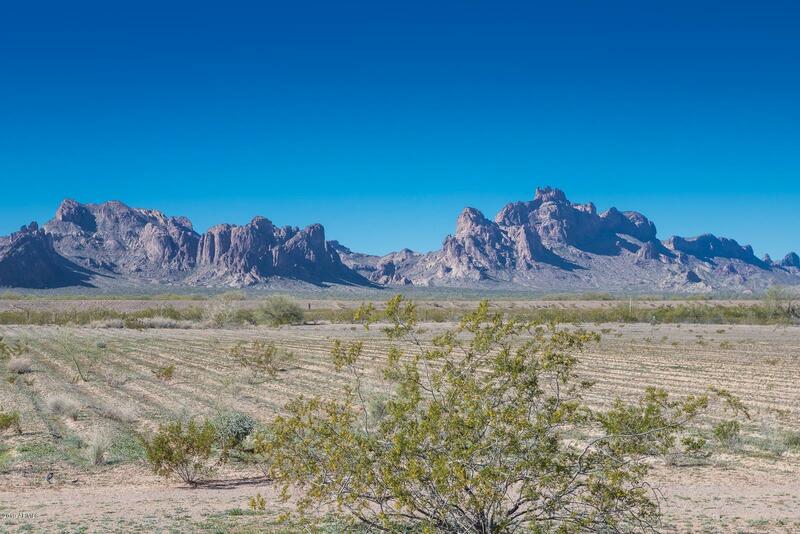 and 504-13-011D and 504-13-011F additional parcels Two 20 acre parcels are available at an additional $300,000 thousand for both"
"Here's your perfect piece of property in the dessert paradise - With a large kitchen, formal dining room, family & living room that flows together. A huge master bedroom with walk-in closets in a split floor plan. Walk out to the back patio through French doors under a large covered patio, onto the fire pit area. 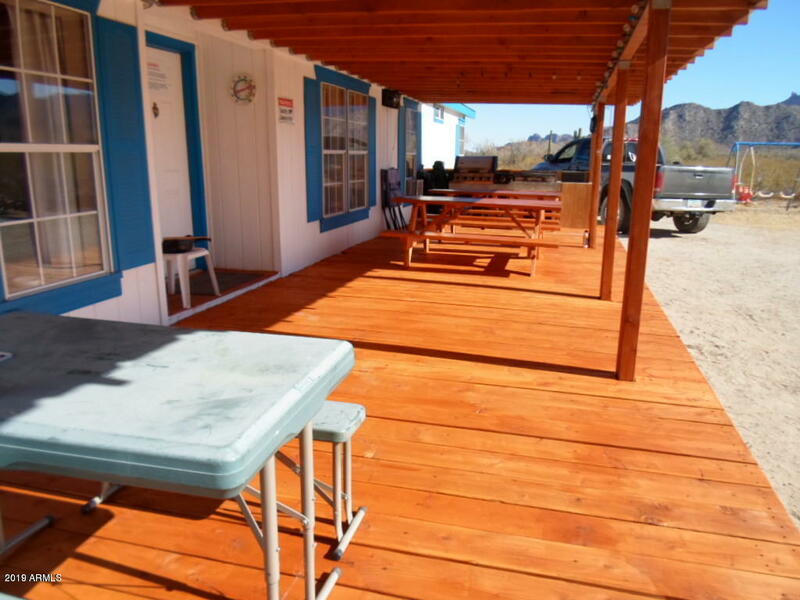 It has a large grass area with a dog run, lay in your pool take in the Mountain Views. Room for an arena, horse stalls or for whatever your outdoor recreation needs are on almost 4 acre"
"Home is rented. DRIVE BY ONLY! Lease ends Aug 2019. 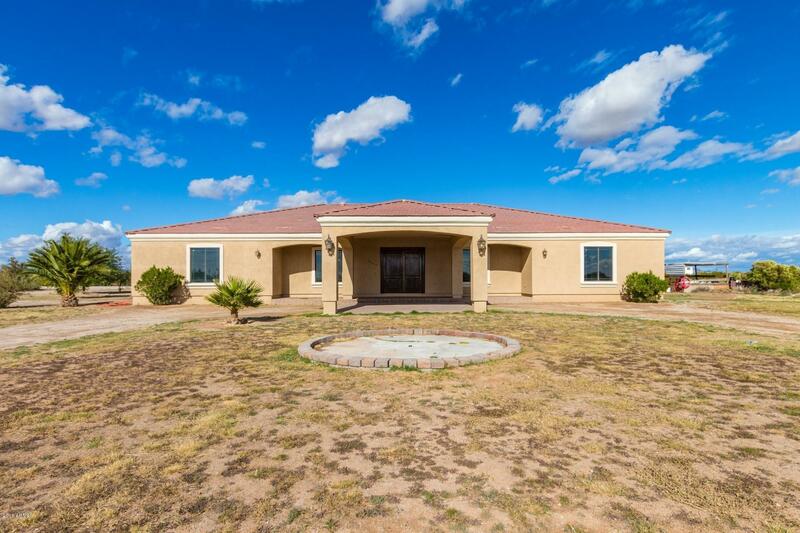 Enjoy spectacular sunsets & mountain views at your fully-fenced horse property on 10 acres. Additional 10 acres is being subdivided and available for $100k. 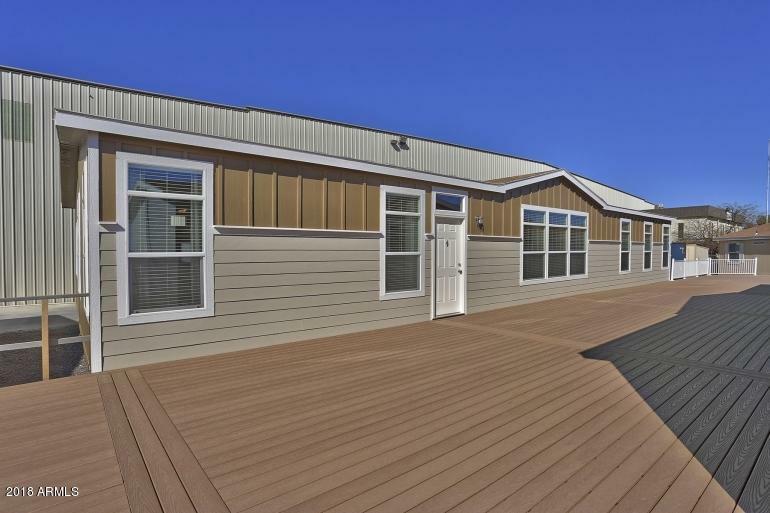 2,240 Sq Ft home completely fenced and gated. Privacy & Mountain Views. Sold ''AS IS''. In the area of Bill Gates community of Belmont. Always remember you can add a house to property but you can never add property to a house!" 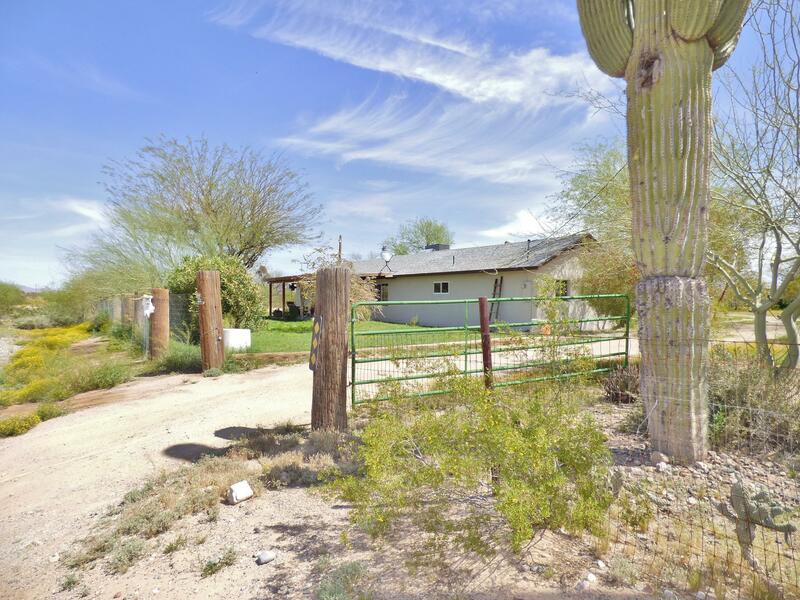 "Corner lot with sweeping mountain views and separate two guest houses! Beautiful open and bright floorplan with tile flooring t/o, custom color palette that will enhance your furnishings! Rich wood cabinetry, stainless steel appliances, breakfast bar and a walk in pantry complete this space. Spacious bedrooms! Master suite is spacious with a complete ensuite. Your guest can enjoy privacy in their own separate guest suite. The outdoor space is a blank canvas waiting for your special touch! 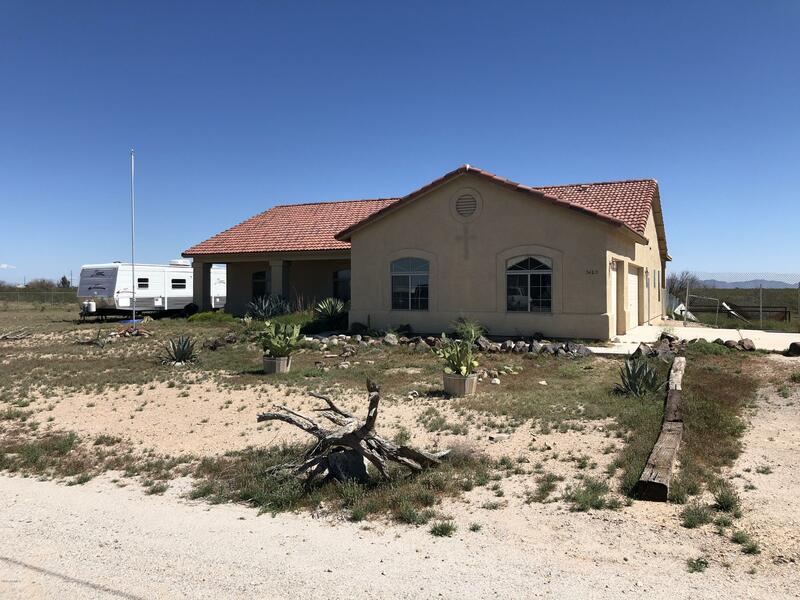 Don't "
"20 Acres of irrigated land with an adorable home. Horse Property, Organic Farming, Horse Boarding, Toys, you name it! The difference between this property and others in the area are the water. There is water, water, water! You can irrigate the land with flood irrigation. The land was used as a CERTIFIED Organic Farm. This means Grandfathered water rights and clean irrigation. 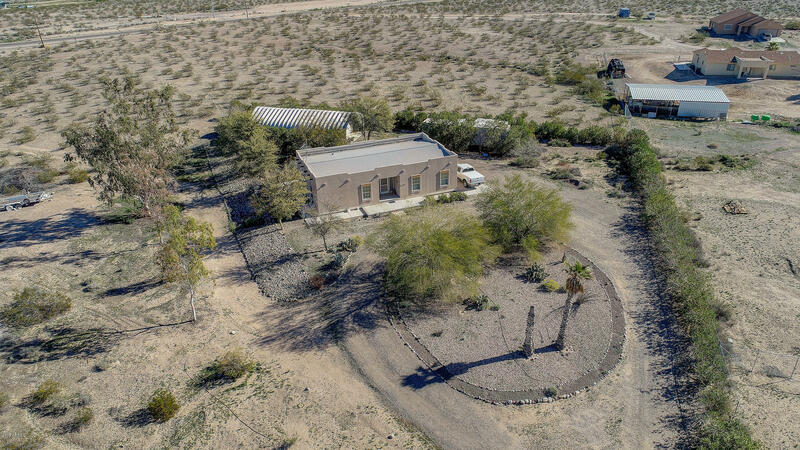 Maybe you just want your horses to gaze on organic land and get them out of the pesticides and harmful chemicals, this is"
"Beautiful off the grid house sitting on 39 acres, facing Eagle Tail Mountain Wilderness. A Desert / Mountain View Paradise. This charming Desert Retreat will be your favorite getaway. Have fun on your ATV'S and Dune buggies on 39 + acres. Turn key & ready for occupancy as a permanent residence, weekend retreat, hunting lodge, or vacation rental. Home offers LP and solar hot water heater. Fresh water storage. 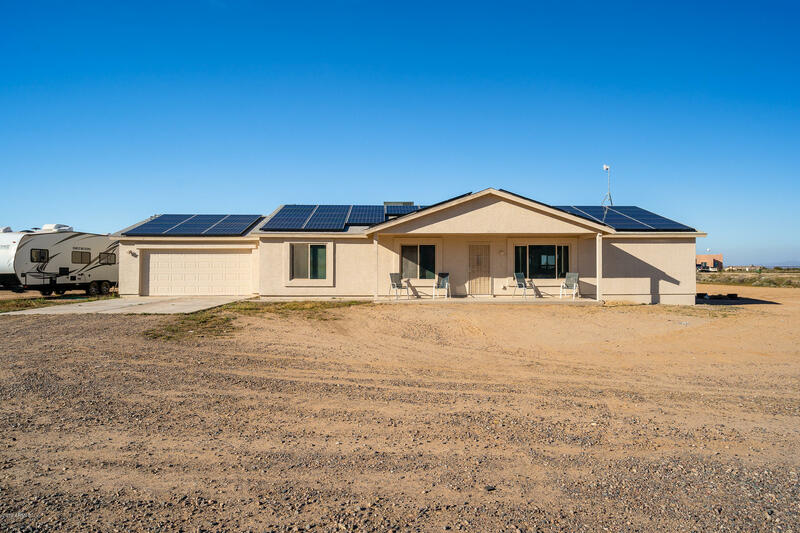 Electrical power is generated by Solar panels and Lithium Iron Phosphate storage Battery"
"This Custom Split floor plan, 4 bed Home sits on just over an acre horse property. 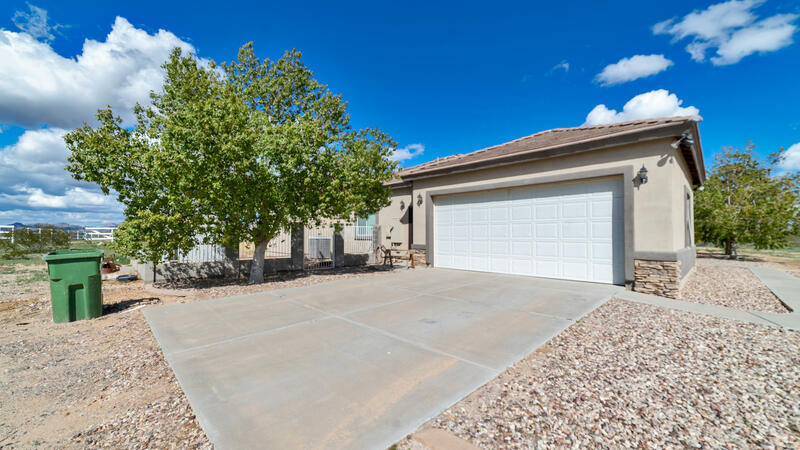 Tile through out home except for bedrooms, one bedroom has laminated wood flooring, Open kitchen w/ upgraded appliances, fridge, microwave, & adjacent to huge family dining room w/ french door exit to the clean slate back yard. , Master has walk in closet, open roomy and w/ double sinks, 2nd bed has walk in closet. Larger hallways than the average cookie cutter home, CVRD Patios, 2 Car Garage, So much more, 4 ho"
"''A custom-built home on a serene 1.25 acres that is not only tranquil, but with astounding 360 views. 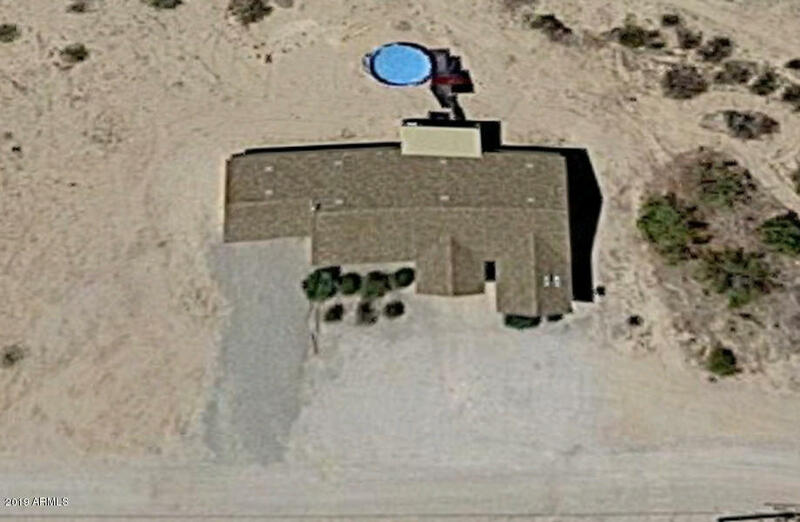 Bring your horses and take your toys out for a spin at this 3/2+ bath with an open floor plan, great for entertaining. The 10' ceilings and large windows provide ample space and light to enjoy the surrounding views. Buyers will enjoy the oversized master suite and bath with soaking tub and separate shower. Large covered patio and fenced yard, ensures safety for your pets. Just minutes from the"
"Open and Spacious! 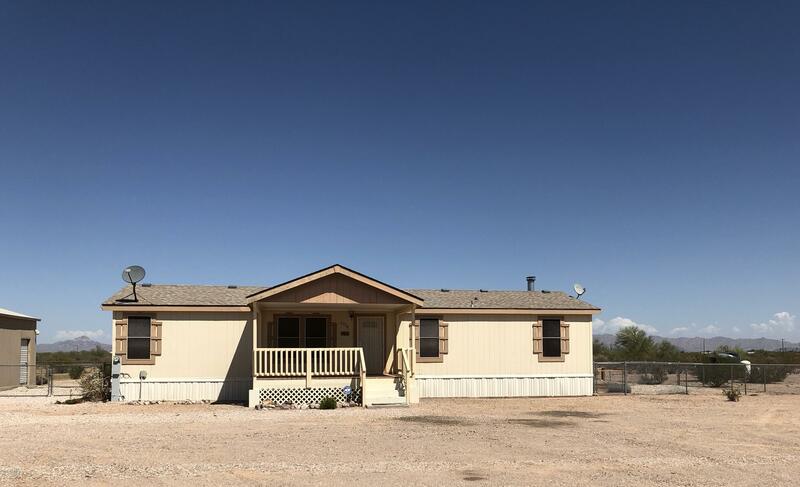 Home features 3BD 2BA with an open floor plan on just under 2 acres. Inside laundry, 2 car garage and horse property. Trails nearby and quiet area. Come check it out today! Washer & Dryer included as is. HOME WARRANTY pre-paid through 2023." "Incredible 3 Bedroom 2 Bathroom Home. Two car Extended Garage with an electric opener. Plus a two car carport. Vaulted Ceilings , Great Room Floor Plan. Eat in kitchen with Breakfast Bar. Master Bedroom is Split with a jetted Tub and separate shower. Cultured Marble Surrounds. Refrigerator washer and dryer will convey. laundry sink and Cabinets in the Inside laundry room. Nice raised covered Patio, Front Porch. raised panel doors throughout the home. RV Gate. back yard has block fencing. Built "
"Attn: Horse Lovers and Ropers! Lovely home on quiet street in highly desired rural area. 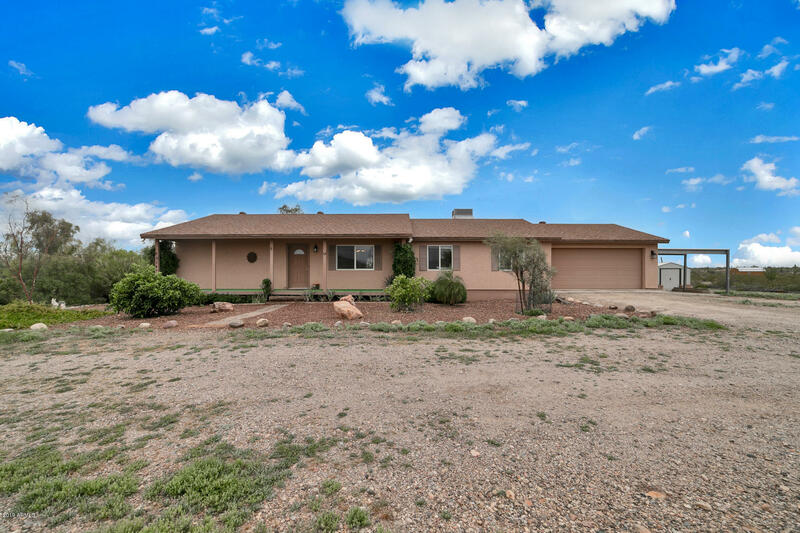 4 Bedrooms, 2 Bathrooms, , Horses Welcome, No HOA, Acreage. Large kitchen with tons of storage and counter-tops.Gracious master suite with large tub & shower and amazing walk-in closet. 3 other good-sized bedrooms. Great room with sliders that look out to the big back yard with incredible mountain views. Backyard has lots of room for entertaining, horses, and all of the toys. Tile in all of the right places." "BEAUTIFUL HOME ON AN ACRE WITH MOUNTAIN VIEWS!!!! 4 bedrooms & 2 bathrooms with a split floor-plan. Master suite boasts oversized room, bay window, walk-in shower, tub, separate vanities & walk-in closet. Large kitchen with island overlooks the great-room. Spray foam insulated walls, triple pane windows, Nest thermostat & ceiling fans through out. Solar lease covers 98% of the electricity through out the year! New paint on exterior of homes & in living spaces. Portion of lot is fenced in - per"
"HORSE PROPERTY, HOBBY FARM-OR JUST ROOM TO ROAM.-The set up is all here!! Barn with electric & water & refrigerator., sheds for hay & tools, pens, garden area, small fruit orchard, FULLY FENCED. Water runs to various places on the property. Shade canopy, covered feeding areas, motion lights. PLUS a well kept 4 bedroom, 2 Full bathroom home. 1868 enjoyable square feet to ''Put Your Roots Down''! 2 car attached garage, inside laundry room with washer & dryer included. Modern open concept , li"
"GORGEOUS move-in ready home on 2 acres with no HOA & panoramic mountain views. 8ft door opens to 11ft ceilings in great-room, kitchen & dining. French doors off great-room to full length covered patio. Custom beautiful solid pine cabinets through out. Kitchen boasts lazy susan, pantry & breakfast bar. Large master suite with walk-in closet, large shower with seat, tub & double sinks. Double sinks at guest bathroom. New exterior paint. Water softener & reverse osmosis. New 2'' faux blinds. Refrig"
"Well built home on a quiet street. $2,000 carpeting allowance to the buyer of this great home. Wide open floor plan, big bedrooms and a 3 car garage will make this house very comfortable to live in." 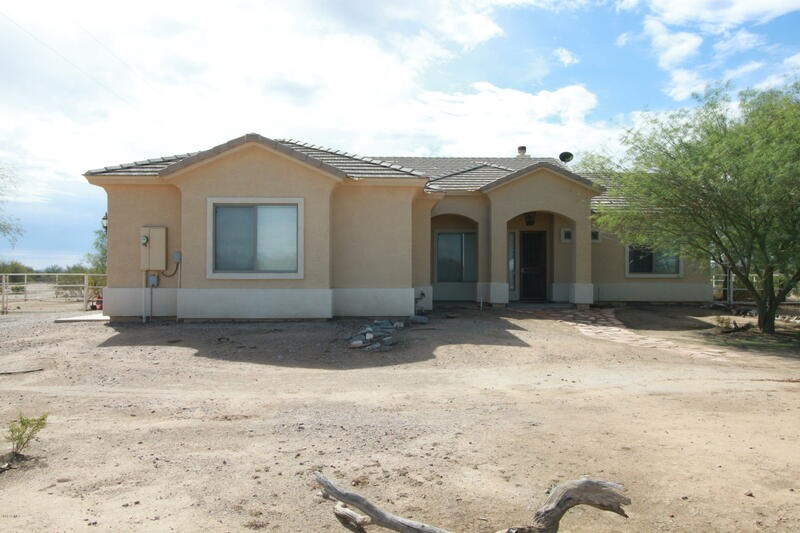 "Allowance of up to 5K at closing to help make this beautiful 4 bedroom 2 bath your home. To add any personal updates the new homeowners would like or need." "Once you see this home in person you will agree it is one of the best done ever. This home has been meticulously remodeled from top to bottom. The custom features are in every room, from the custom tile fireplace, to the Saltillo glazed floors. 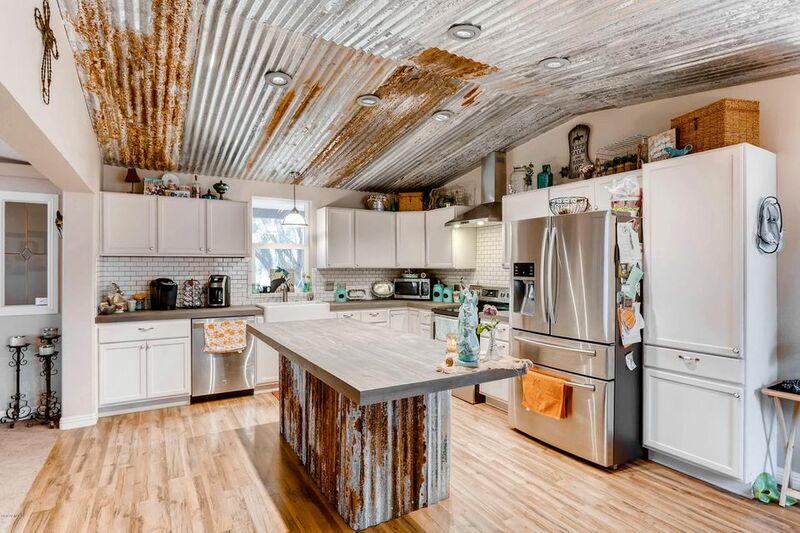 The kitchen cabinets with soft close draws, and butcher block counters, with huge apron sink. Every door in the home is piece of art with decorative trims. The dual master baths are very unique also with antique vanities, custom show in one has a rai"
"Instant equity!! Price dropped to below market value!! Country living at its finest with horse privileges at price that won't break the bank! 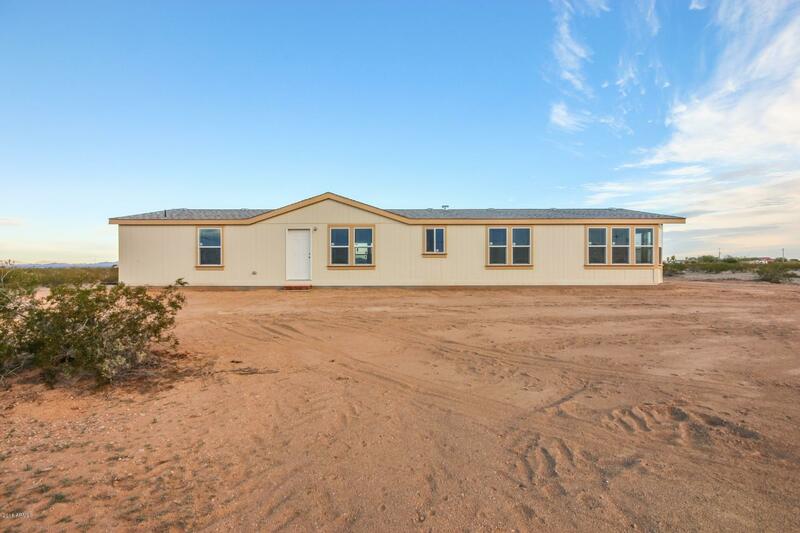 Beautifully updated manufactured home with horse facility. Horses enjoy a riding arena, tack room, covered hitching rail, loafing room, and much more. A fenced garden provides the opportunity to grow lush vegetables or flowers. Experience the endless stars in the Tonopah night sky. 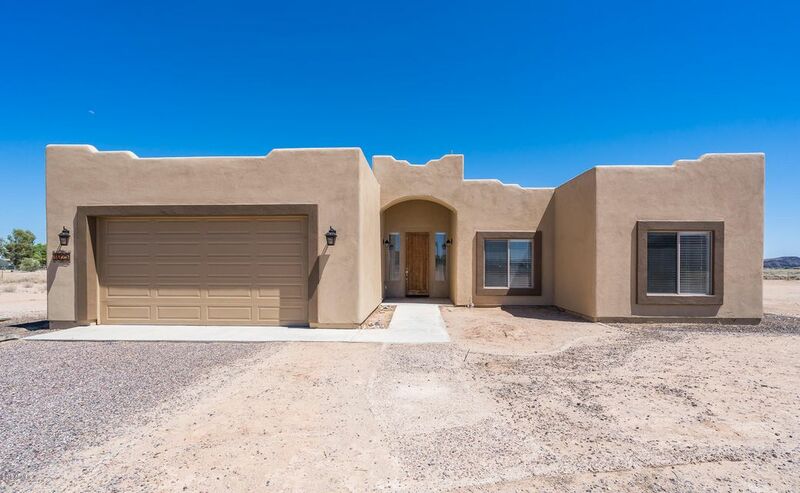 You can also take advantage of the beautiful West Valley desert by riding a"
"Clean home on 3.7 acres with approx 1250 sq ft steel shop with 2 drive through doors. Newer AC less than 4 years old, raised ceilings 9 feet. 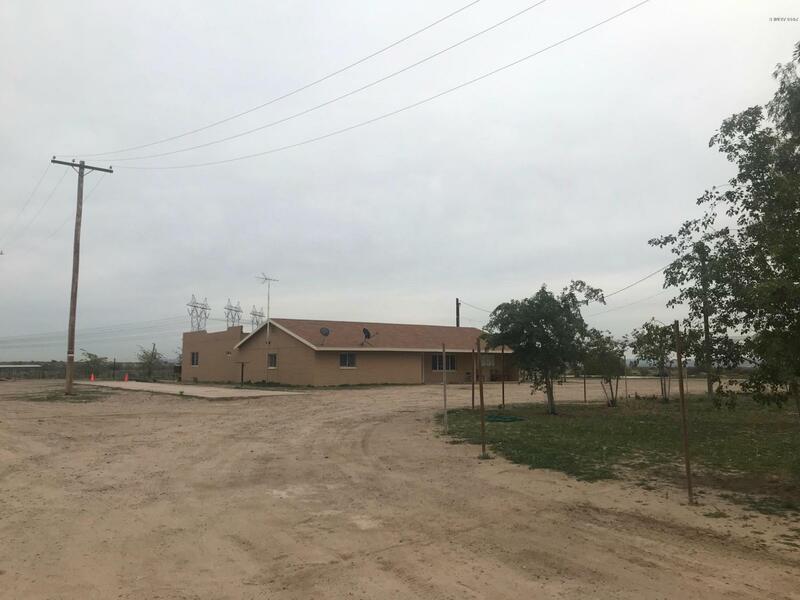 Concrete surrounds home with wide parking slab, Film on all windows for energy efficiency, Private road to home, No flood plain with plenty of room for horses or your toys. 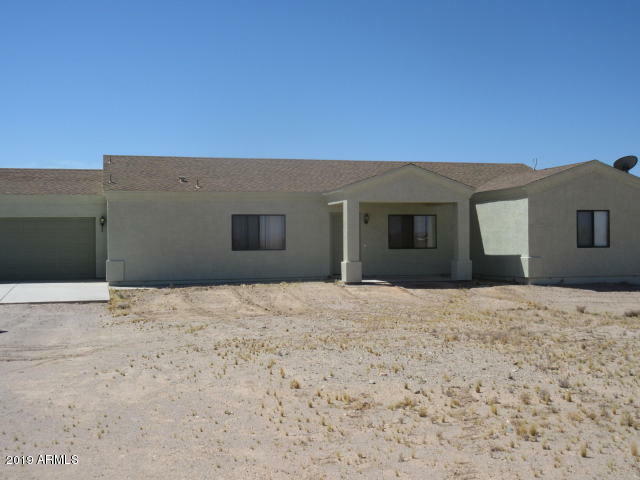 This is one of the best homes in Tonopah perfect for a family or contractor. Close to the fire station and convenience store. I-10 is only 10 minutes north." 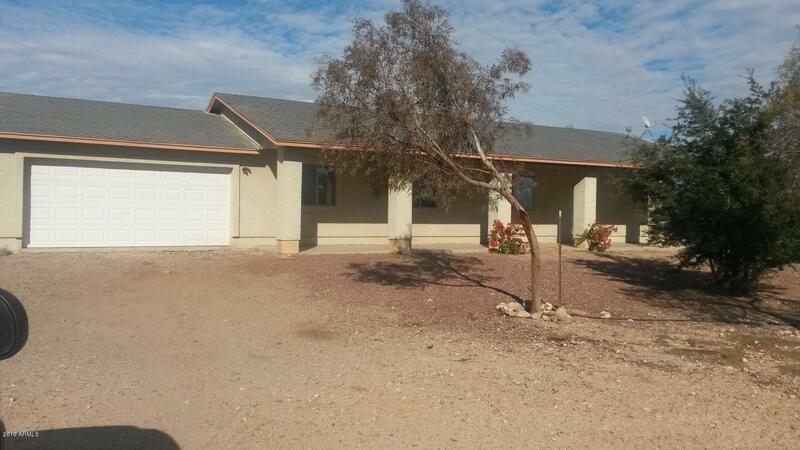 "GARAGE GARAGE GARAGE INCLUDEDNew home with 24 x 24 detached garage on one acre. bring your toys. This home and lot are still a blank canvas for all of your plans.Garage to be complete by COE. Refrigerator/appliance package to be installed at COEAgent related to seller"